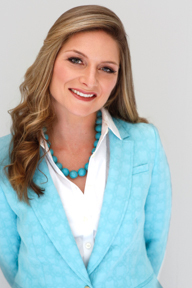 Olivia Bergeron, LCSW is a psychotherapist and parent coach who founded Mommy Groove Therapy & Parent Coaching to help parents navigate the huge changes that come with having a child. Whether you're experiencing a sense of overwhelm, stress and anxiety during or after having a baby, or you've run out of ideas about how to manage your toddler's (or big kid's!) tantrums, Olivia works with you to create lasting change. She does this by providing clients with therapy or coaching or a hybrid of both. Olivia is a mom to twins and a singleton, so she understands the demands that come with parenting in New York City. Once her children arrived, Olivia realized that many women and men were not getting the help and support they needed to live in a balanced, joyful way. She heard from parents that becoming a mother or father was unendingly frustrating, difficult and just not the way they had imagined it. "Why didn't anyone tell me it would be this hard?" was a frequent refrain. And so, Mommy Groove Therapy & Parent Coaching is dedicated to creating happy, healthy families. Olivia offers help, whether you are seeking to make changes in your life, or to address anxiety/depression, or wish that you had a brighter north star when it comes to parenting. There is no need to go it alone. Mommy Groove Therapy & Parent Coaching helps clients by offering coaching and therapy in a variety of settings. She has an offices in Park Slope, Brooklyn, and Union Square, Manhattan, but also offers phone and FaceTime/Skype sessions. Home visits are available exclusively for new parents seeking therapy. Olivia shares her expertise on perinatal mental health by providing professional trainings for doctors, doulas, lactation consultants and midwives on Postpartum Depression and Anxiety. Olivia received her Bachelor’s from Vassar College and her Master’s in Social Work from New York University. She has a Post Master’s Certificate in Advanced Clinical Social Work also from New York University and a Certificate from the Postpartum Stress Center. 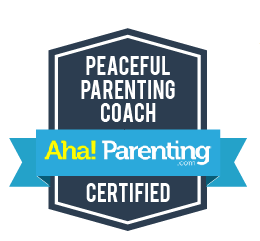 Olivia was selected to be a part of the first ever coaching training by Dr. Laura Markham, author of Peaceful Parent, Happy Kids and the site ahaparenting.com. She is proud to help parents find a way to "stop yelling and start connecting" with their child. She speaks Spanish and French fluently, and offers her services in these languages as well. Olivia has appeared in the New York Times , Huffington Post, Self Magazine, ABC News, TheBump.com and on Fox 5 New York. She has contributed articles to Brooklyn Family Magazine, Manhattan Family Magazine, A Child Grows In Brooklyn, Parenting and the City, and YourTango.com.